Canal House #2007 - Mountain and Golf Course Views! Washer & dryer, A/C, FREE WiFi and parking! 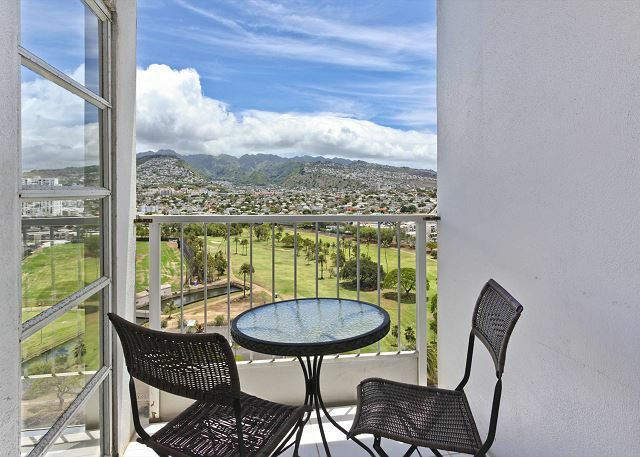 With spectacular views of the Ala Wai Canal, golf course, and Ko’olau Mountains, this 598 sq. 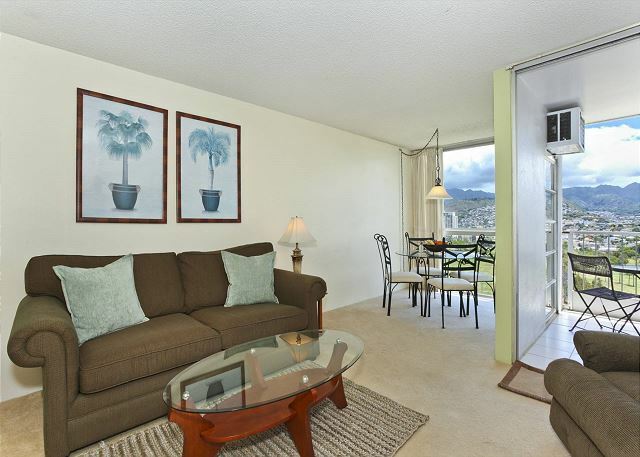 ft. one-bedroom condo with AC has a 43 sqft lanai and is just a short walk to the beach, great shopping, and dining and entertainment venues in Waikiki! Sorry, no pets. 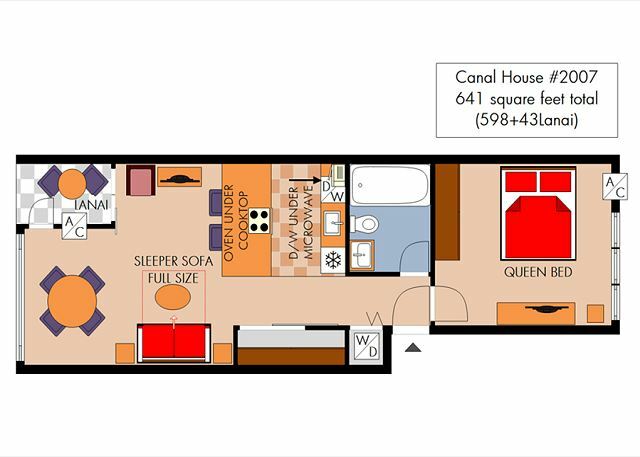 This is a non-smoking accommodation (including balcony/lanai) which sleeps 4. Have been staying at this unit for many years now...just love it. 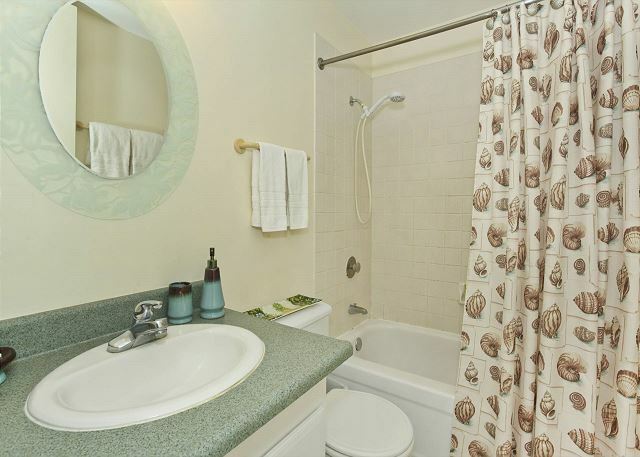 Great Location and the property is well maintained with everything you need for your stay. Welcome back and thank you for posting a 5 star review of your recent stay. We appreciate your repeat business and it makes our day to read such an enthusiastic review! It’s always encouraging when customers acknowledge the good work of our team. We look forward to seeing you again soon. When we arrived the condo was very hot. The a/c was turned off and Paul, who met us, turned it on but the fan wouldn't start. He called the repairman and it was fixed a few days later. The carpet was dirty and stained from last year. The drip pans on the stove were dirty and needs to be replaced. Everything else was clean and very well stocked. We like the location and the convenience to the bus stops. Aloha and thank you for sharing your comments about your recent stay. We apologize for the problems you encountered with the A/C , carpet and stove pans. It sounds like the housekeeping team missed the ticket on quality control. We are glad that Paul was able to resolve these issues for you during your stay. 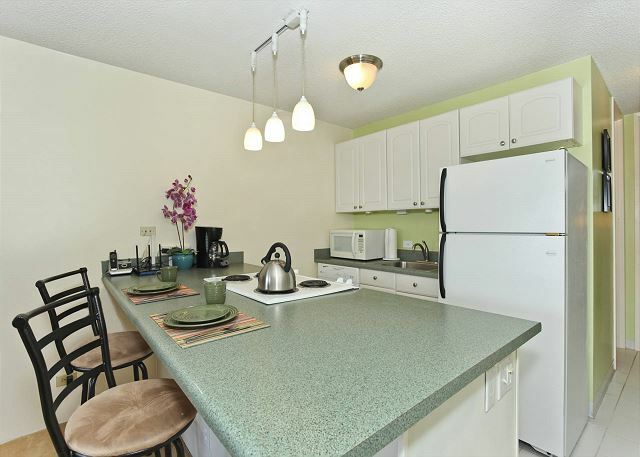 We are pleased you appreciated the convenient location of this great condo. We value you as a customer and hope you will keep us in mind for your future vacation rental plans. Close to everything and everything you need for a wonderful vacation. Just unpack your bags and feel you are at home. Excellent location. 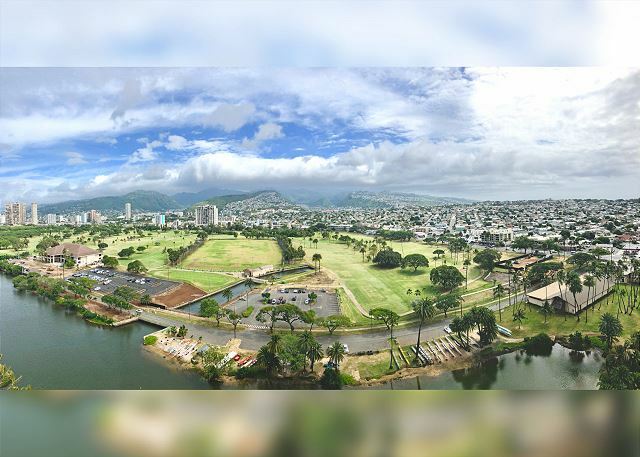 Only blocks away from the crowed hustle n bustle of Waikiki, located opposite the Ala Wai Canal, walking distant to Kapiolani Park, Honolulu Zoo, Waikiki Aquarium,Diamond Head, beaches, a plethora of eating establishments, etc. Major bus routes just a block away when wanting to explore other areas of Oahu. Plus all the amenities of home equals a most enjoyable, interesting visit. Mahalo for choosing to stay with Captain Cook Resorts and the great review and recommendation! We're so glad you appreciated the convenient location of this great condo! Hope to see you on your next visit to these beautiful Islands! Always a pleasure staying at the Canal House. Everything you need is at the tip of your fingers. With the recent addition of a DVR and HIGH SPEED internet - you have all the comforts of "home"
It makes our day to read such an enthusiastic review- Mahalo! We’re happy to have provided all of the needs you required for a wonderful vacation! It's what we're here for! We look forward to your next visit! This is our 2nd stay at this condo and really feel like we are at home. Very well stocked and exceptionally clean. The only problem was the air conditioner leaking in the unit but it was not a problem. Wonderful stay!!! UH area with Koolau mountain range with lots of green scenery. If the corridor of 20th floor room to the elevator hall be well covered so as the sight of the ground jumping into your eyes, it will have been more comfort to the person like me who is a bit of acrophobia. The five questions put here under to request evaluation of 1 to 5 cannot be input because of some trouble of my iPad. All my evaluations are 4 to 5(very satisfied). Surely the property is recommendable to any person who has no acrophobia. Mahalo, for taking the time to share your recent experience at Canal House 2007! It's always great to get this kind of feedback - we're so glad you enjoyed your stay! 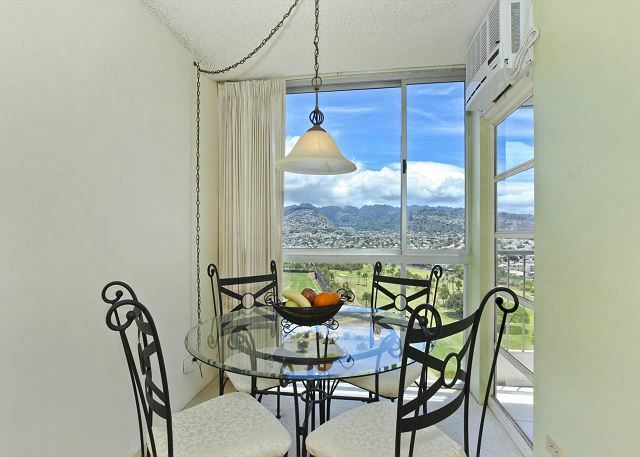 We are pleased that you enjoyed the mountain views of this great condo! We will pass your feedback on the team and look forward to your next visit! I would consider this my home away from home. Everything I need is here. The staff of Captain Cook is fantastic and IF I need something, they take care of it. Great location, close to everything and quiet considering its Waikiki. Mahalo for the 5-star review and recommendation, Dean! Happy to have provided all of the needs you required for a wonderful vacation! It's what we're here for! Hope you can enjoy a return trip to our beautiful islands soon! Nice clean unit well appointed, we will be back. Aloha Denis, we appreciate your repeat business! Thank you for your recommendation and positive input. We look forward to welcoming you back to in the near future. Have been staying here for years now....just love the location and the property. Everything you need is included. Mahalo Dean for choosing to stay with Captain Cook Resorts and the great review and recommendation! We appreciate your repeat business and we look forward to seeing you on your next visit! We had a great time. It was nice view. Great unit for vacation rental. Everything you need is there to make it pleasant. IF you need anything, its just a phone call away. Beautiful view of the canal and mountains. Mahalo, Dean! We appreciate your repeat business, year after year! Mahalo once again, Dean! We so appreciate having you as a loyal repeat guest! See you next year! 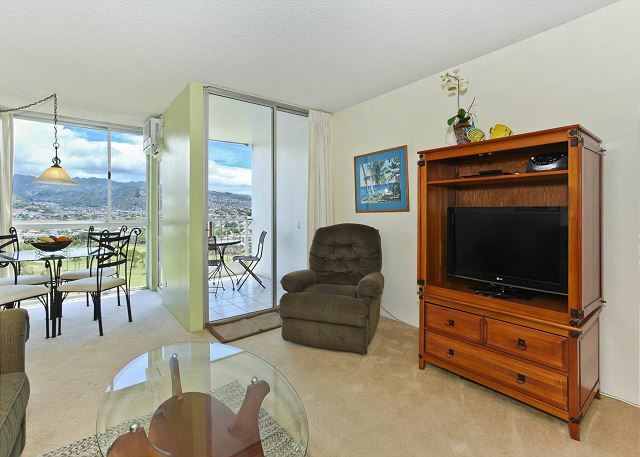 I have been coming to Hawaii for years and this is the second time that I have chosen this Condo as it is well positioned and the owner through Capt Cook ensures his guests are happy. If you love golf the driving range is just across the road. I am happy to recommend this Condo. 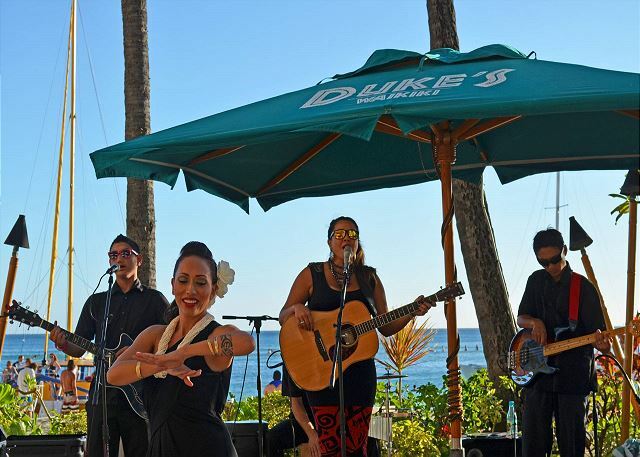 Mahalo for the great review, Ronald! We hope to see you again soon! I have now stayed at this property several times now. Great location, quiet and well appointed. Everything you need for a fantastic stay. Highly recommend it. Mahalo! The Captain Cook Resorts Team appreciates your repeat business and look forward to your next visit! Relaxing, enjoyable, sunny and warm. Great vacation rental. They have everything you need for a pleasurable stay. If you need anything, they are fast in taking care of your request. The property management is very professional. I have stayed at this property several times and as always, it has always been well maintained. Close to everything...just a short walk to the beach and "Waikiki attractions"
This is my 4th stay at this property. Love the location, view and the unit is very well furnished with everything you need for a extended stay. wir waren für einen Monat mit unseren 2 Kindern und unserem Baby in dieser Wohnung. Diese ist ruhig, ****, bequem und mit einer grossen Küche ausgestattet. Zum Essen ist es für 4 Personen jedoch eher eng. Die Distanz zur Beach zu Fuss dauert knapp 20 Minuten. This is my 3rd time staying at this property. All I can say is....FANTASTIC. Very comfortable, clean, well appointed and QUIET! Any situations were expeditiously resolved by BW of Operations n Guest Services. This is my second stay at his property. Will definitely stay there again. Very clean and quiet. From the minute I arrived, everything was perfect. Well stocked with supplies. Everything you would want for a 1 month (or more) stay. Unit was to my surprise, very quiet considering it was Waikiki. Loved the view with the street lights at night looking towards the mountains. Nice view of the Ala Wai with the nightly canoe rides. No need for air conditioning - nice cross breeze in unit. Would definitely stay there again. at a hotel, having all the conveniences, and then some. This is my second time at Cabal House and have already made plan for next year. Thank you.We had a very good stay, and we'll rent here again when we come back to Hawaii next time. We loved the unit and it's location. It was close to everything and in an awesome building. Definately would stay there again! 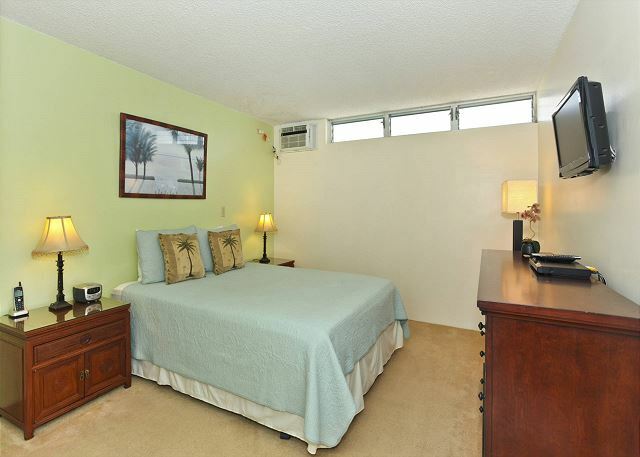 this is one of the nice, clean, well stocked vacation rentals in Waikiki. Please contact NEAL for more details and rental rates. Neal Miller can coordinate your entire vacation in Paradise! He is the BEST! We enjoy this apartment and location. When the bedroom dresser was less than desired we had a very nice new dresser within days. The washer and dryer in the unit is really great. The kitchen is well stocked and I will certainly stay here again. My family stayed at Canal house in Honolulu for 4 months as part of a work assignment. We could not have been happier with the property. Even a family can be comfortable in a one bedroom apartment, especially when everything is right outside the front door. 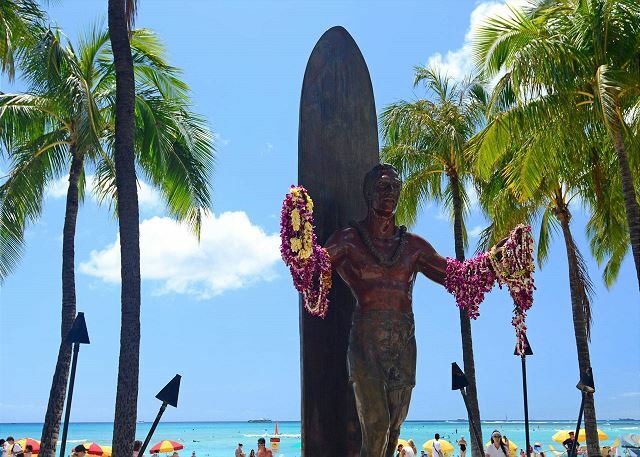 From world famous Waikiki beach to the local library, countless restaurants and local hangouts, a park, the zoo. and even if you want to explore Oahu by car, you have a great parking spot in the garage, since street parking is hard to come by. The apartment was fully stocked with cookware, appliances, nice TVs and even beach toys. We had a wonderful time and miss the wonderful view of the mountains from the lanai with its daily rainbows.